Over the last three decades, Heather Becker has taken The Conservation Center from a small studio to a nationally recognized art conservation laboratory. Heather Becker's innovative leadership and passion for art preservation have driven The Conservation Center to the forefront of the field of conservation. Heather maintains the philosophy that “...it's about recognizing the intent of the artist. It is our job to preserve and care for the artworks and allow them to have a future life.” Her sentiments are echoed in the high standard of care applied to all of the artworks that come into the lab for treatment—whether a piece of fine art or a piece of family history. After studying painting and art history on scholarship at the School of the Art Institute of Chicago and the International School of Art in Italy, Heather was inspired to pursue a career in the field of art preservation. In 1989, she developed a national business plan for The Chicago Conservation Center, as the company was formerly known, and purchased the firm from its founder in August 2003. The Center has since expanded to provide conservation services in paintings, works of art on paper, murals, textiles, antiques and fine furniture, rare books, frames and gilding, and objects and sculpture. The Center is now the largest private facility of its kind in North America. Children's Subjects: Science (detail). Grace Spongberg, 1940. Frank I. Bennett Elementary School. Heather co-founded the largest mural preservation project in the country’s history in an effort to bring art back into public education. The project restored hundreds of early 20th century murals in Chicago. She is also the co-founder of New Deal Preservation Association-Midwest Chapter, a nonprofit organization which recorded and preserved works from the New Deal Era, as well as Works Public Administration (WPA) Era murals. After years of research, Heather Becker authored a book on Chicago murals and art preservation entitled Art for the People (Chronicle Books) in 2002. 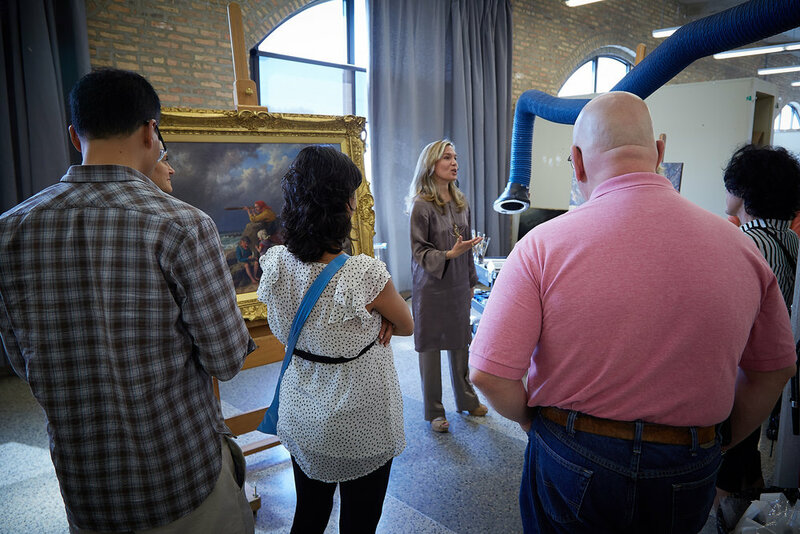 Heather works to educate a variety of audiences throughout the country on the technological advancement of art conservation. She has lectured at venues such as The J. Paul Getty Museum, the Art Institute of Chicago, Art Basel Miami, the Risk Insurance Management Society (RIMS), and the Detroit Institute of Arts. 1998 Richard H. Driehaus Landmark Preservation Council of Illinois President’s Award for Mural Conservation at the Chicago Public Schools. 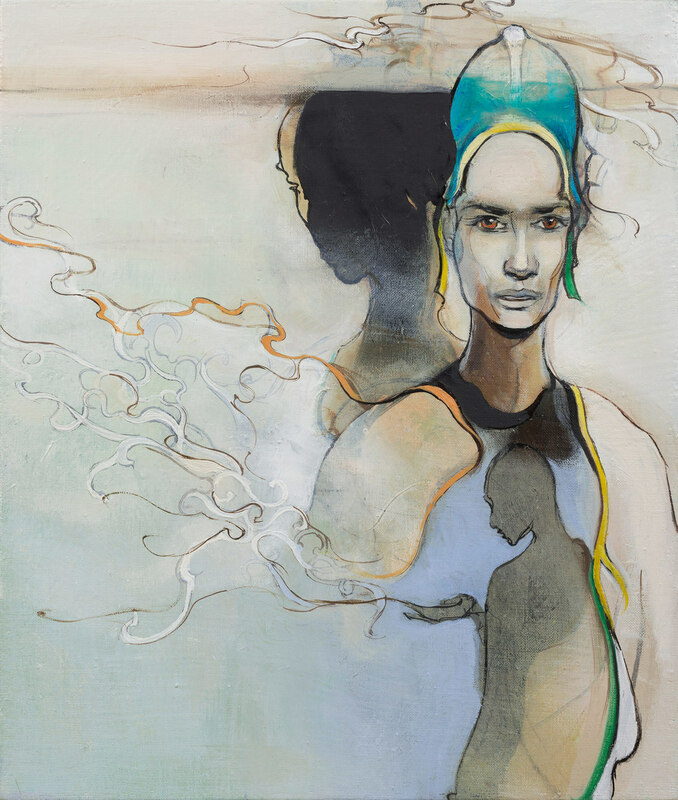 Heather Becker continues her practice as an artist, specializing in figurative oil paintings and drawings. Heather is represented by Zolla/Lieberman Gallery in Chicago and has exhibited at major art fairs such as Art Miami and EXPO Chicago. She has studied the ancient practice of Ashtanga yoga for the last 15 years. For nearly a decade, Heather volunteered for Operation Sunrise, a nonprofit organization dedicated to helping children with cleft lip and palate and other facial birth defects in medically under-served countries around the world.